Big Ole Mess is a huge Olympic fan. It is a little difficult to post this item but it has to be done. Bode Miller is a MESS!! Drinking the night before his first big event, sleeping past the inspection time before the race and then placing 5th in the Men's downhill. If you have witnessed some of Bode's interviews you know where we are coming from. There are tons of people that would love to have a chance of representing the United States at the Olympics. Wake up Bode and get your act together. You can party after you have represented the United States in the proper manner. And a note to remember from some very wise mothers. When you don't know what you are talking about or don't have anything nice to say then DON'T!! 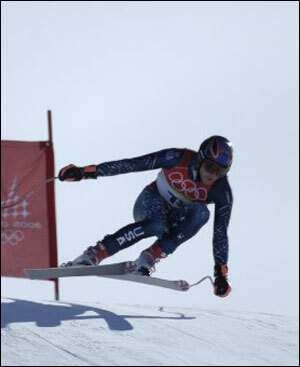 We hope that Bode "Mess" Miller pulls it together for the Red, White and Blue!!!!!!! !